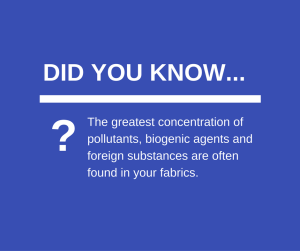 Did you know that the greatest concentration of pollutants, biogenic agents and foreign substances are often found in your fabrics? 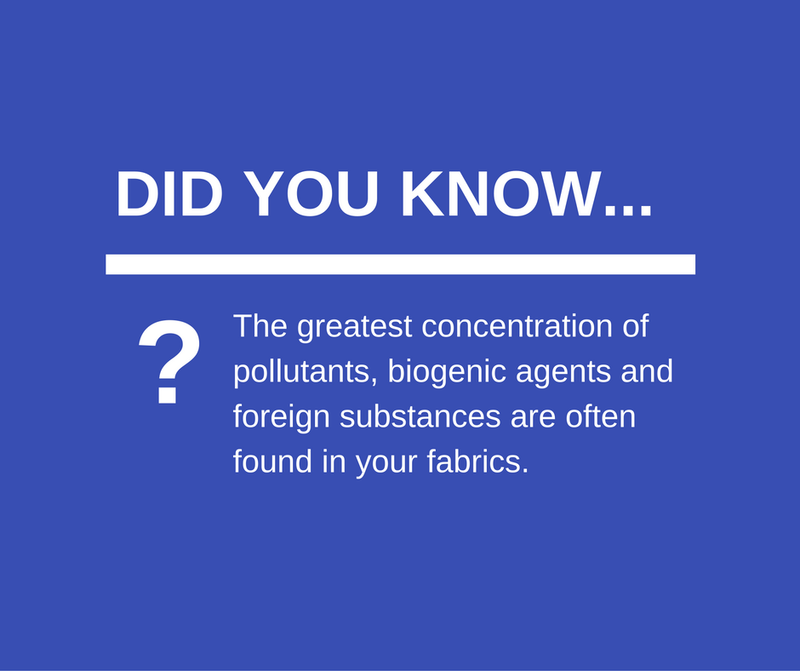 Insecticides, bacteria, mold, dust mites, animal liquid and solid wastes are but a few of the items that can be found. To keep your carpet & furniture in tip top shape, have them cleaned professionally by our Certified Technicians! Call 732-2000 to schedule an appointment.